Posted December 26th, 2016 by Andrew Lodge & filed under News. Wishing everyone a very Happy Christmas – and a wonderful New Year! Posted December 22nd, 2016 by Andrew Lodge & filed under News. Adviser Robert named Lifetime’s Financial Santa! Posted December 14th, 2016 by Andrew Lodge & filed under Community News, News. 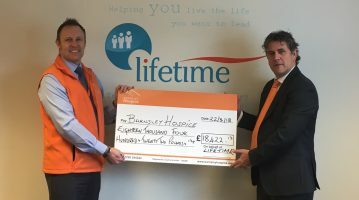 Birthday milestone for Lifetime pension specialist Steve! Posted December 14th, 2016 by Andrew Lodge & filed under News. Posted December 12th, 2016 by Andrew Lodge & filed under News. 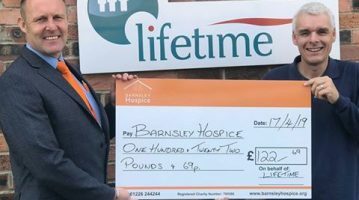 Rotherham Hospice thrilled with Lifetime referral scheme! Posted December 12th, 2016 by Andrew Lodge & filed under Community News, News.